Bryan joined Richey May in January 2018, bringing with him eight years of big four accounting experience. He has a focus on assessing financial reporting risks and evaluating Information Technology General Controls as part of an integrated audit for Fortune 500 companies and service organizations. Bryan has worked in the capacity of both internal and external auditor across a variety of industries, including banking and mortgage servicing clients. He is responsible for System and Organization Controls (SOC) attestation reports as well Sarbanes-Oxley (SOX) compliance for U.S. SEC regulated companies. In addition, Bryan has extensive experience with eXtensible Business Reporting Language (XBRL) compliance for both IFRS and US-GAAP filers. 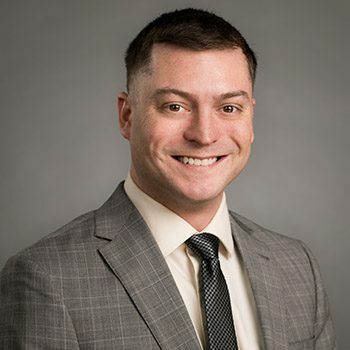 Prior to joining Richey May, Bryan gained experience in public accounting at PwC and Grant Thornton in Philadelphia, Pennsylvania. He has worked with clients utilizing solutions such as SAP, Oracle, JD Edwards, Hyperion, and Netsuite, supported by Microsoft, Unix, and mainframe platforms. Bryan was born in Bucks County, Pennsylvania, but now resides in Denver, Colorado. In his free time, Bryan enjoys hiking, camping, and exploring 4×4 trails in his Toyota Tacoma.